Carnival is a Christian festive season celebrated in many countries, and the carnival at Rio de Janeiro attracts 5 million visitors each year because it is the most fabulous and colourful of them all! 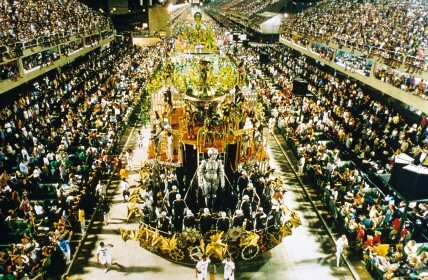 Samba schools from different neighborhoods practice all year round and prepare the pageant for the 4-day celebration. Tourists can watch the samba parade from the stands and dance, or go to designated areas where there are street bands and parties. If you are teaching English in South America, most languages schools are closed for the summer holidays during the first week of February, so this is a great time to visit Rio!